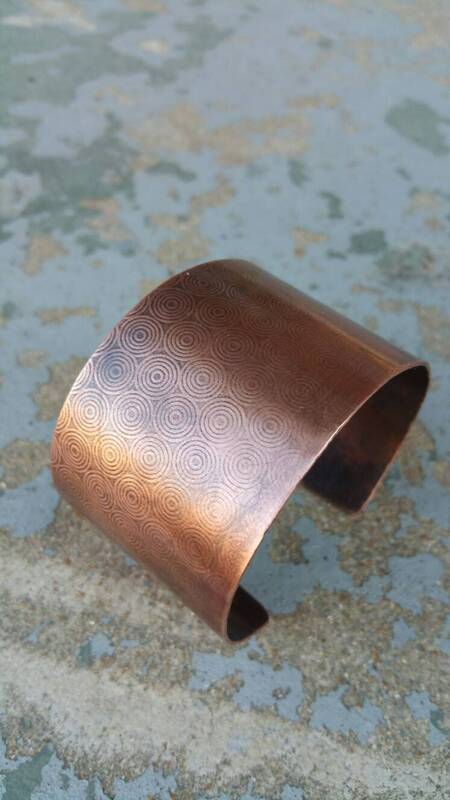 This unique wide textured copper cuff is created from copper sheet. It has been handcut, textured, beveled and formed. 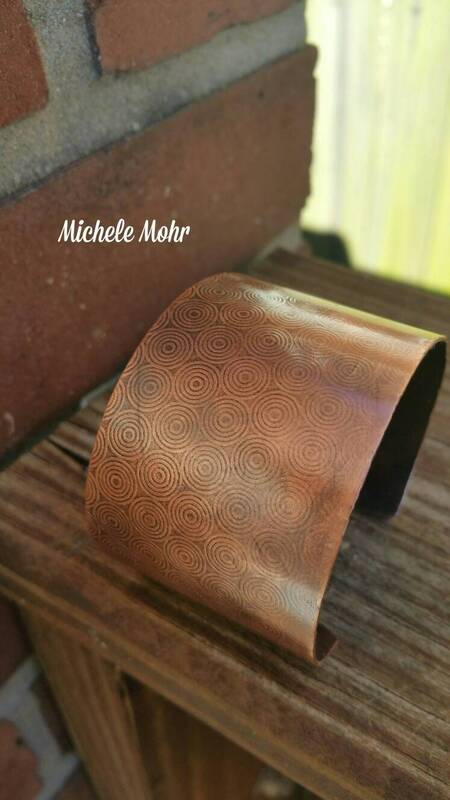 It has a repeated bullseye pattern is oxidized and fades in oxizied color down the width of the cuff. 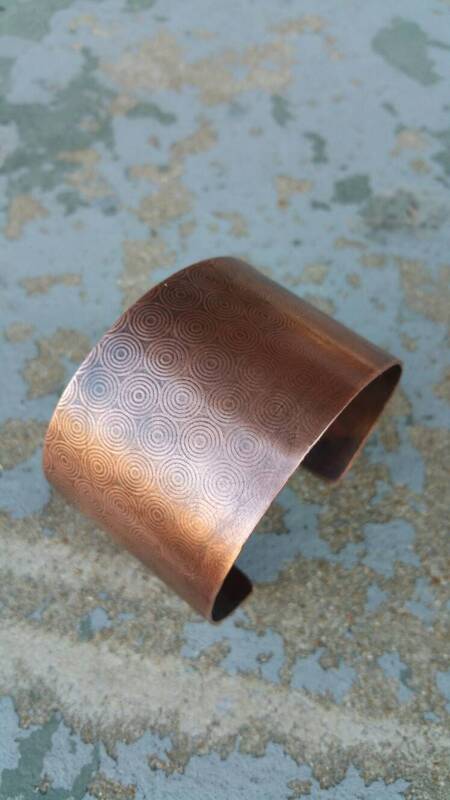 This cuff will comfortably fit most women's wrist comfortably, as it is slightly adjustabel. 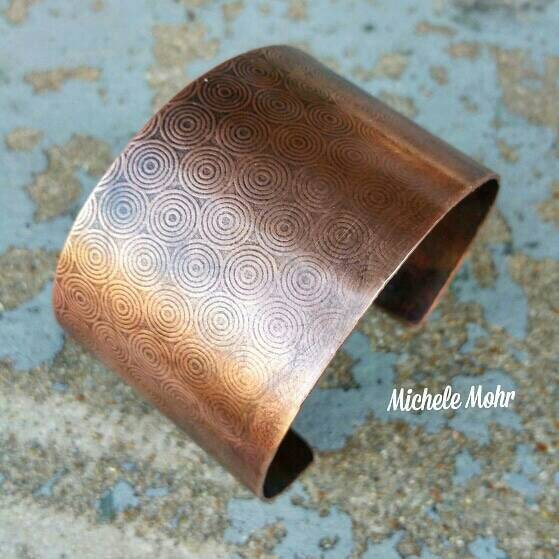 It will fit a man's small to medium wrist comforably. 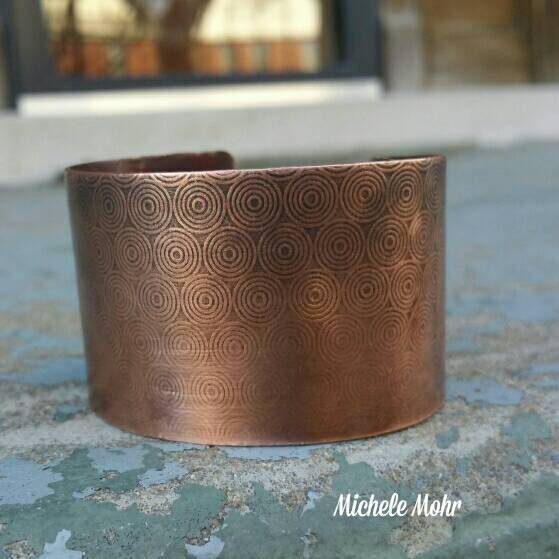 The cuff is 2" at wide and 6" in length.